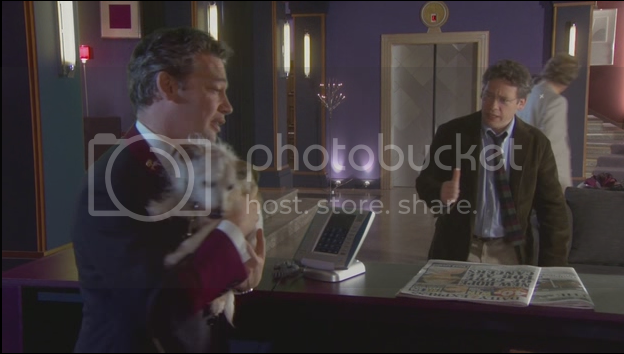 So, uh....Hotel Babylon last week. LOVED IT! Have watched episode five, might recap it in a few days. Sam = Still A Tool. I don't what the writers are trying to do here- are we supposed to like him for doing stupid things like wagering the hotel in a poker game or go looking for hidden treasure when he has more important things to do? Argh. Rest of episode was quite good, even if the scene with Emily and her dad having the heart attack in the lift felt a bit contrived. Yeah, this is a bit from the non-two-Dexters plot. 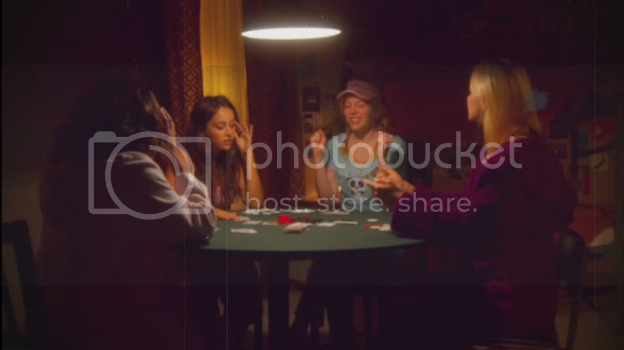 Emily learned poker in her posh private school. Maryke used to play a bit of Texas hold'em online, but quickly gave up after her first actual game in a casino when she lost her money and decided it was a waste to try again. But really, this is the whole point of the episode for me. Look how adorably rumpled he is! Tony's doppelganger is Bobby Mack, a knowledgeable and prolific American author. Rather like the name Spike Thomson, Bobby Mack is the sort of name a British scriptwriter makes up because they think it sounds so obviously Yank. In my brain, Bobby Mack IS Spike Thomson. I know the Moff is hard at work on Doctor Who now, but I will worship him forever if he ever writes that Press Gang reunion special he's talked about. And here he is with glasses! 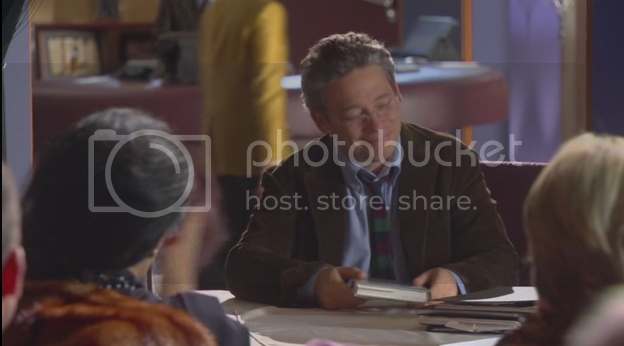 This episode is full of win by virtue of Dexter Fletcher in glasses using his Spike accent. Bobby also has a pretty young PA who fancies him, but he's too much of an inept nerd to do anything about it. ....so the obvious solution for our heroes is to swap places. And drink whisky while discussing it. Er....no caption needed? Don't mind me, I'm just capping the eye candy. After swapping identities, there is much split-screen action involved. Also James sort of gets pwned by Tony-as-Bobby after earlier refusing to serve Bobby breakfast. I'd like to point out that he's wearing a square-ended tie here. I swear I haven't seen anyone wear one on tv since Alexei Sayle on The Young Ones. Oh, and everybody is all O_O at the resemblance between Tony and Bobby. Tony-as-Bobby pulls off the book reading! And looks cute while doing so. And then he charms the PA into having a drink with him, while Bobby-as-Tony sings the praises of King Lear. ...but then punks out because it's time for him and his doppelganger to swap places and for things to go back to normal. Except that Bobby-as-Tony is busy saving the high-maintenance guest/number one fangirl from flouncing out of the hotel. After much dithering, the PA kisses Tony-as-Bobby. ...and Bobby gets a happy ending with the PA. Aw!